Glen Scouller's paintings are full of vibrant colour and light. 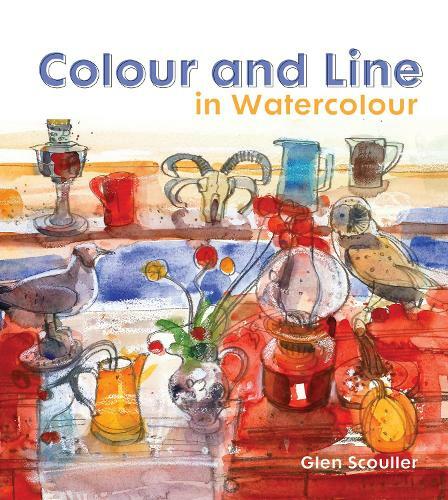 In Colour and Line in Watercolour - his first book - he explains how he achieves these effects. He combines traditional watercolour techniques with adding pen and ink, pastels and crayons to create paintings brimming with colour and spontaneity. Using step-by-step demonstration paintings, Scouller shows how he builds up his paintings, working first in watercolour and adding other media to create his original style. He gives advice on his methods and techniques and encourages the reader to experiment with mixed media. He believes that keeping a sketchbook is very important, especially when travelling and shares tips on how to start and use one. There are also sections on painting outdoors and in the studio. The subjects covered are boats and boatyards, landscapes, still life, animals and figures and portraits. Colour and Line in Watercolour encourages all watercolourists, whatever their level, to experiment with the medium and produce exciting and challenging work of their own by adding line in various mixed media to their watercolours.